The 26-year-old star Mike Thalassitis was found dead in woodland earlier on Saturday. The Metropolitan Police recently confirmed that the Love Island star hung himself in a park in Edmonton, North London on Saturday morning. 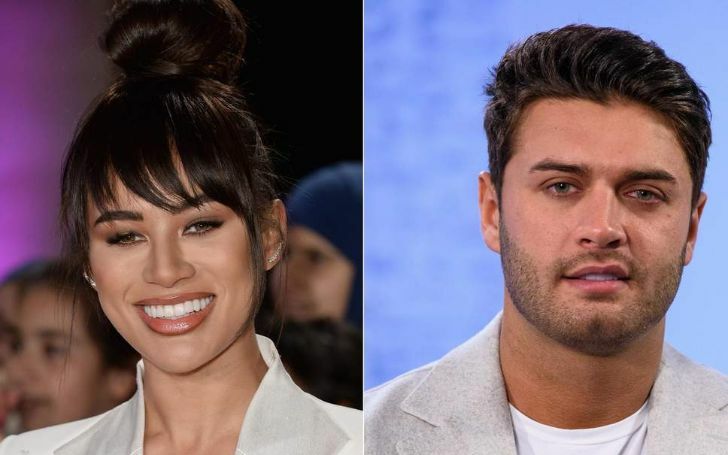 A friend of the deceased star, Montana Brown posted a series of photos on Instagram on Sunday reminiscing her late friend Mike Thalassitis through a heartfelt tribute. The model starred alongside him on the ITV show Love Island back in 2017 and admitted she is experiencing angry emotion towards the 26-year-old former footballer after he hanged himself on Saturday and also maintained that she feels heartbroken that she couldn't help. Montana also opened up about the fact that Mike had been in a 'dark place a few months back'. To add up, Brown also revealed that Mike was the one who came to her aid by checking on her daily earlier this year when the star was 'struggling' herself. "I've thought long and hard about what I want to say, I've woken up and unfortunately this wasn't just a nightmare so this is to you, Mr. Thala." "Firstly, I'm so angry at you for doing this because you are so loved by so many people and I just wish you picked up the phone so we could've sorted this out." The former football player earned the nickname of “Muggy Mike” during his time on the widely acclaimed show due to his instant connection with the ladies. "This didn't need to happen. Secondly, it annoys me that you were so misunderstood. 'Muggy Mike' was your stage name and let's face it, the ladies did fall at your feet BUT everyone had this impression of you and you were literally the opposite you were one of a kind. Mike, you were so thoughtful, caring and loyal to me and all your friends, you know some of my darkest secrets and I know yours." "You sent me a Christmas card in the post this year, you checked up on me every day at the beginning of this year when I was struggling myself, you really were the kindest, sweetest person and I am so devastated and crushed that I'll never get to see you again. Now I know you were in a dark place a few months back and I thought you were past it and that you were on the up." A flurry of other stars joined in to provide their tribute to the real guy that Mike was. In fact, former Love Islanders including Amber Davies, Chris Hughes, and Dom Lever also paid homage to the late reality star on their respective social media pages.